Mosler Sample Safe - World Record Bid! and Toussaint Hutchinson (R) of USA Today. the Iowa Gas Auction catalog for 2016. Indianapolis: July 13, 2017 - Winners of the 2017 National Auctioneers Association Marketing Competition, presented in partnership with USA TODAY, have been announced. Three “Best in Show” honors emerged from among more than 850 entries. 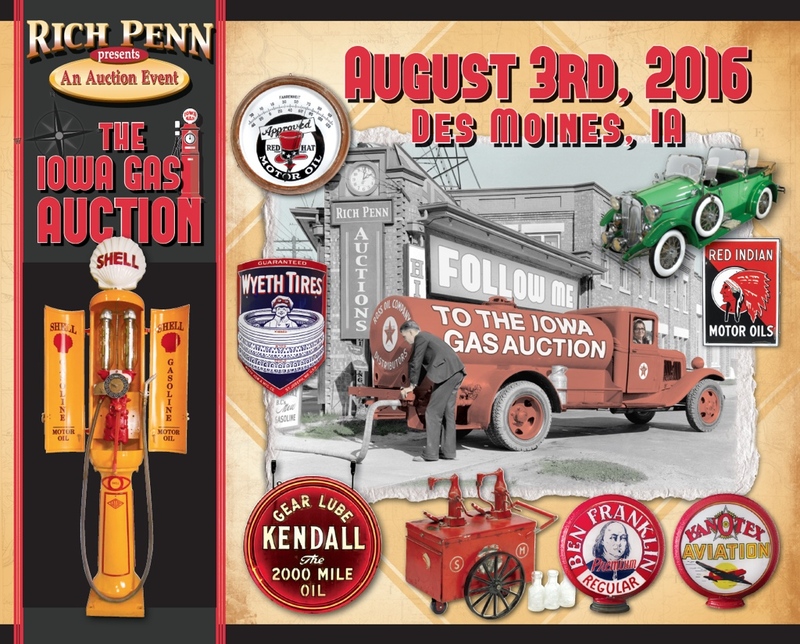 Rich Penn, of Rich Penn Auctions, in Waterloo, Iowa, won “Best in Show — of all Advertising & PR – Print entries” for the “Iowa Gas Auction” catalog. 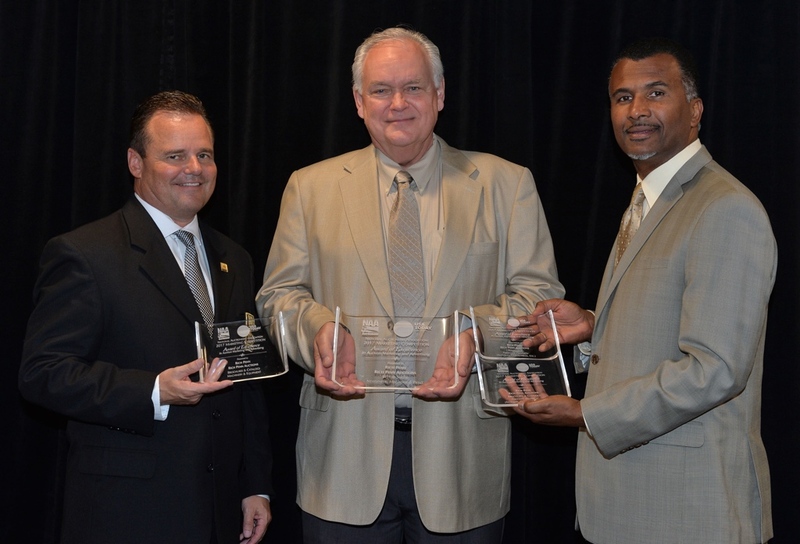 The Awards were presented by Scott Shuman, NAA President and Toussaint Hutchinson of USA Today. Penn said, “What an honor! This is our second Best of Show Award and it’s humbling when your peers recognize you this way.” He added, “We work very hard to do the best marketing we can for the clients we serve. Winning an award like this is truly validation for all the hard work.” Penn won four other awards for their Personal Property and Antique catalogs and direct mail material. Rich Penn Auctions has been in business for nearly 20 years and has served clients nationwide. All award recipients in the 2017 contest were formally recognized during the NAA Marketing Competition Awards Reception in Columbus, Ohio, at the 68th International Auctioneers Conference and Show, July 11-15. Recipients were presented with their awards at that time. 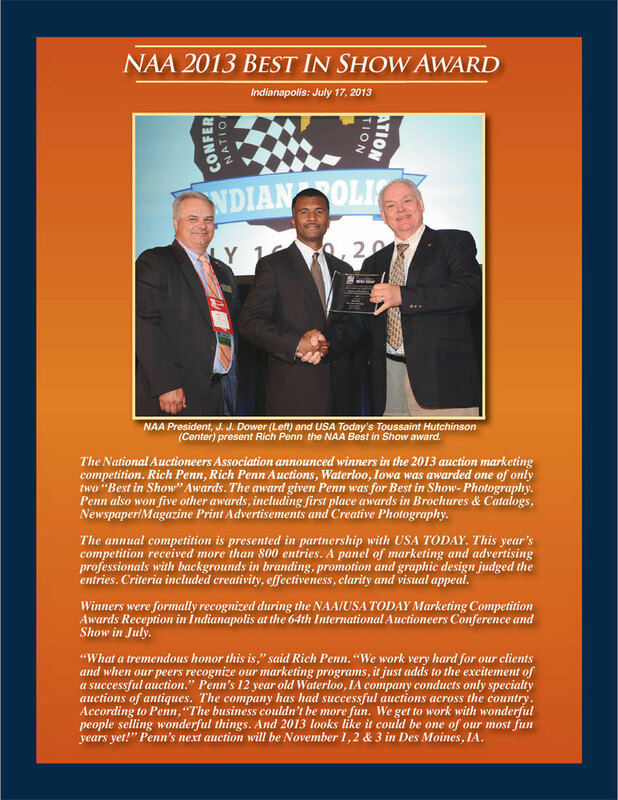 Overall, the annual NAA Marketing Competition, continues as the premier contest for NAA members to showcase their marketing efforts. The total number of entries again showed healthy member participation as seen over the past several years, and the quality level of those entries again was impressive. This year, top-level marketing efforts came forth from 22 states ranging nearly coast-to-coast. 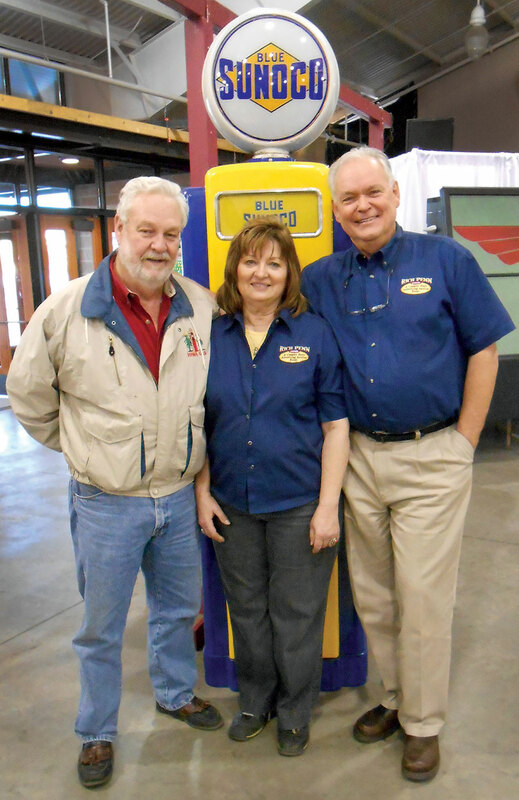 Ron Hoyt from the Iowa Gas Swap Meet and Rich & Sharon Penn made an important announcement at Penn's October Auction. “We're joining forces.” said Penn. “We'll be working with Ron and his partner John Logsdon to put on the auction at Iowa Gas in August of 2015 in Des Moines, IA.” Iowa Gas is widely known as the nation's biggest and best Gas & Oil Show and Auction. Rich Penn Auctions is known for putting on high quality auctions with a global following and also conducting them in Des Moines. Interested participants should contact Rich Penn or Ron Hoyt. Today the National Aucitoneers Association (NAA) announced that Rich Penn Auctions will be given six first place USA Today awards for Penn's marketing programs in 2010. 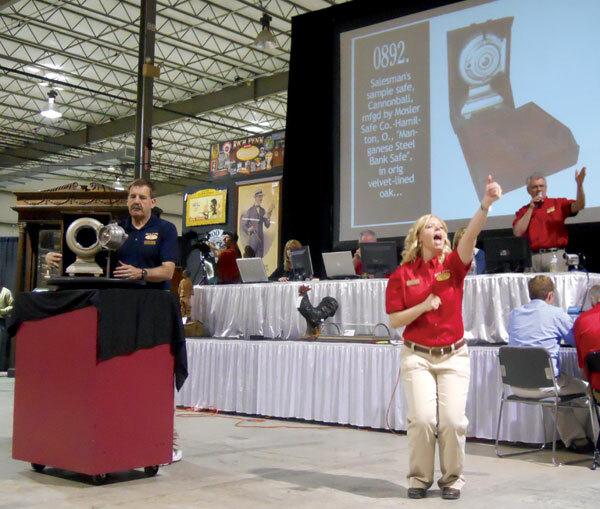 Auctioneer Jodi Sweeney assists Fred Van Metre catch the winning world record bid of $35,000 for the salesman's sample Mosler safe. The safe sold at The Rich Penn Auction Event for the Wayne & Shirley Woodrum collection. Over 400 in house bidders and over a thousand online bidders, from 15 countries, competed for the 1,500 + lots just sold at the Dayton Expo Center May 5, 6 & 7. 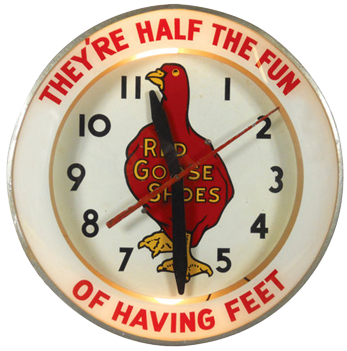 The saleroom lights are likely to have to be dimmed during three days of auctions in Ohio next week, so the auctioneer will not be blinded by the lots: about 500 neon clocks, from the collection of the clock repairman Wayne Woodrum. Mr. Woodrum has been fixing, collecting and selling clocks for four decades, trolling flea markets with his wife and two children. “And sometimes we’d even take the dog,” he said during a recent phone interview. As the proprietor of Wayne’s Neon Clocks in New Carlisle, Ohio, he received phone calls from owners of decrepit commercial strips who had just made discoveries on their roofs.